Kolejne moje kolczyki, także wystawione na aukcji charytatywnej. 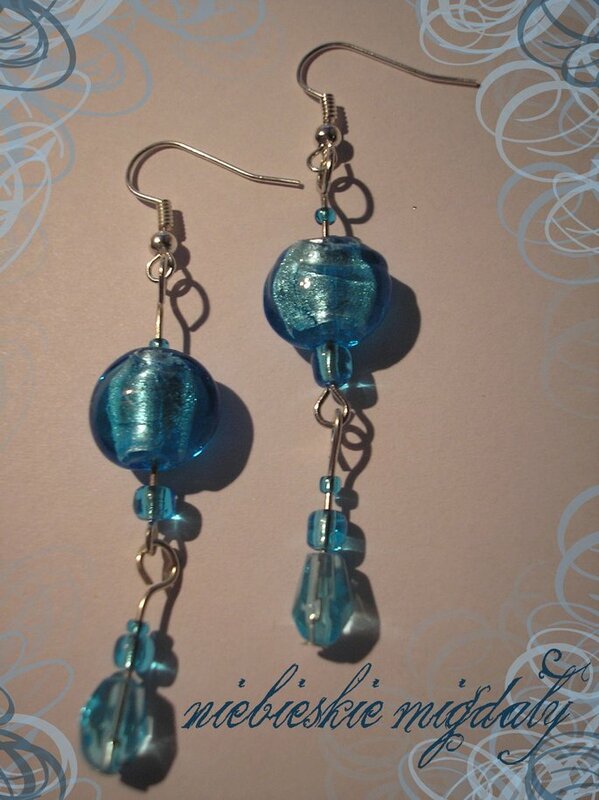 These are my next hand made earrings. I named them „Blue almonds”. In Poland when somebody daydreaming, we say that he „thinking about blue almonds”. I gave them on charity purpose, and they are here, on charity auction.